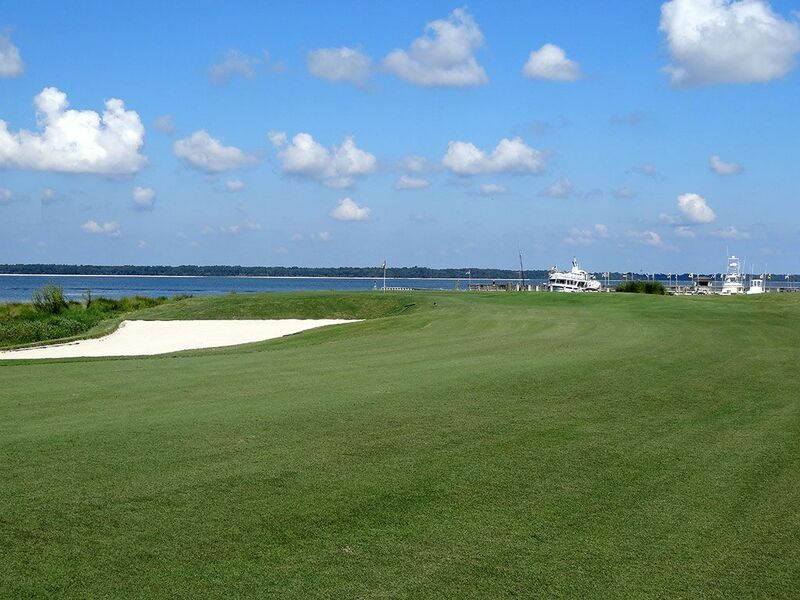 Course Website: Official Website - Visit Harbour Town Golf Links's official website by clicking on the link provided. 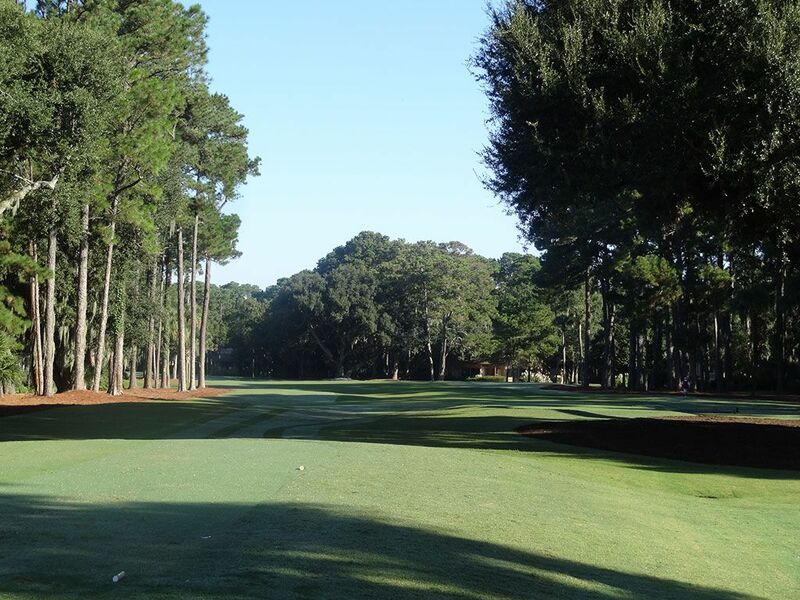 Accolades: Ranked 9th in South Carolina on Golf Course Gurus' Best in State list. 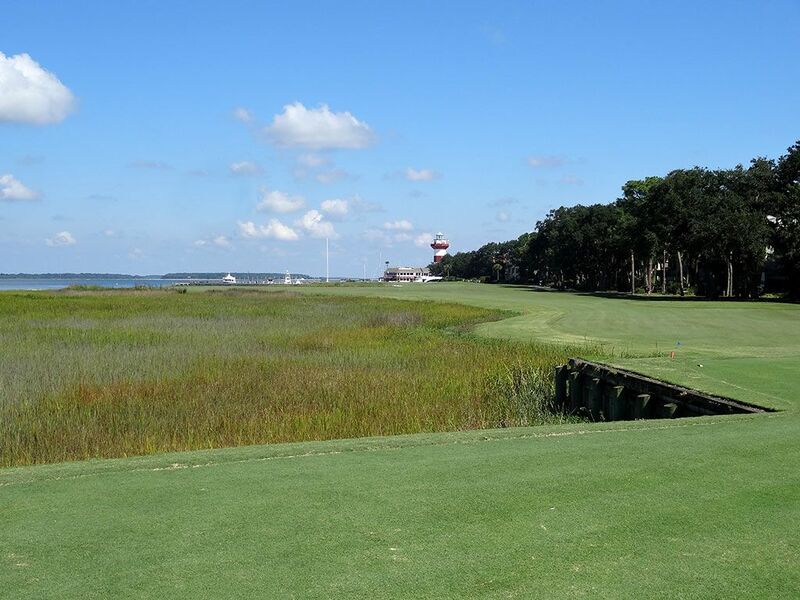 What to Expect: For years Harbour Town has been respected as one of the best, yet controversial, courses on the PGA Tour and is widely regarded as one of the finest shot-making courses under 7000 yards in the country. The Pete Dye design located on Hilton Head Island near South Carolina's southern tip and just north of Savannah joins Kiawah Island (Ocean) and TPC Sawgrass (Stadium) as a trio of the finest public courses on the southeastern seaboard. These courses represent some of Pete Dye's most popular work and give the general public an opportunity to tee it up where the pros do. Harbour Town's signature feature is the red and white lighthouse located beyond the 18th green and acts as a reminder of the course's proximity to the ocean and the ability of high winds to rip through, and swirl within, the course. 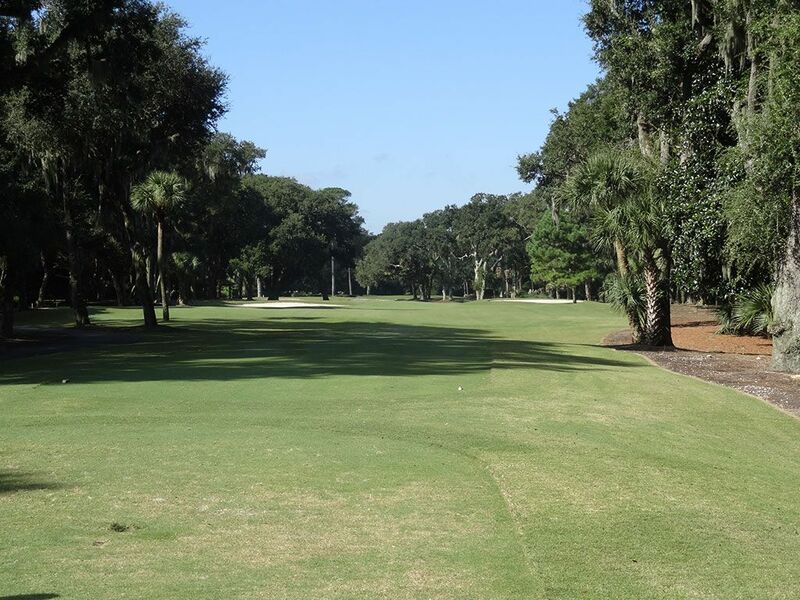 The course is really tight and incredibly demanding with large oak trees and spanish moss hanging out over the fairways ready to deflect less than stellar shots. In fact, it is probably the most demanding course I've played in terms of accuracy and needing to shape the ball. Olympic Club requires shaping the ball off the tee in order to find success but is more forgiving around the greens than Harbour Town. 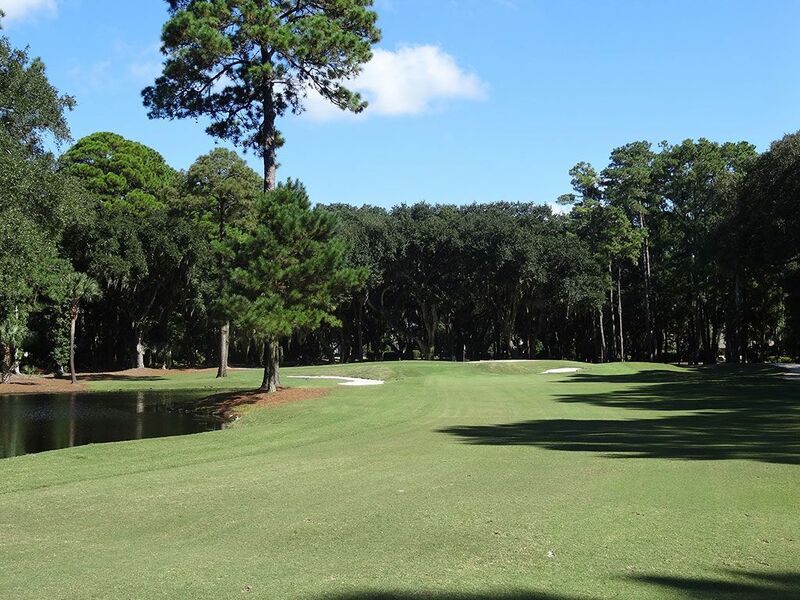 Hilton Head's prize course requires an incredible short game to score well as the raised, firm greens and devious pin placements will test even the best of players. The course plays through a residential housing development which detracts a bit from the overall experience and restricts any future changes to the routing. Like Spyglass, Harbour Town has six exceptional holes that are in a class of their own well beyond the quality of the other 12. Unlike Spylgass, Harbour Town wisely saves them as the final six holes of the round so that they instantly become the most memorable as well. The closing hole along the water that plays towards the lighthouse is simply one of the best holes in golf. Signature Hole: 18th Hole – 472 Yard Par 4 – The finishing hole at Harbour Town is one of the finest and most recognizable holes on the PGA Tour bar none. With the iconic Harbour Town lighthouse in the background and the Calibouge Sound (an inlet from the Atlantic Ocean) on your left, the visuals and challenge of the 18th hole are legendary. When the afternoon wind is whipping this hole becomes one of the most difficult and intimidating pars on the PGA Tour thus creating some exciting finishes for the RBC Heritage. The fairway is quite generous off the tee before severely tightening up with marshland encroaching in from the left. Players going up the left side of the fairway will shorten their approach shot distance into the green but will contend with a forced carry the whole way to the putting surface. From the right side a bail out area is offered for players willing to test their short game rather than potentially hitting their approach shot in the hazard left of the green. It is easily the best hole on the course and one of the finest finishers in the country. Best Par 3: 14th Hole – 192 Yards – Consistenly ranked among the most difficult holes on the PGA Tour, the 14th hole is beautiful visually but can be treacherous to your scorecard. The green is supported on the right by a series of railroad ties that hold the putting green from cascading into the water that rightfully intimidates players on the tee. Missing to the left isn't much of a bailout when the pin is on the right side of the green since the putting surface slopes to the water which has consumed more than one chip shot that was too aggressive. Like most greens at Harbour Town, the target is small and demanding which only rewards the best of shots. Best Par 4: 13th Hole – 373 Yards – The green site of the 13th hole is simply one of the most unique and demanding in the game. 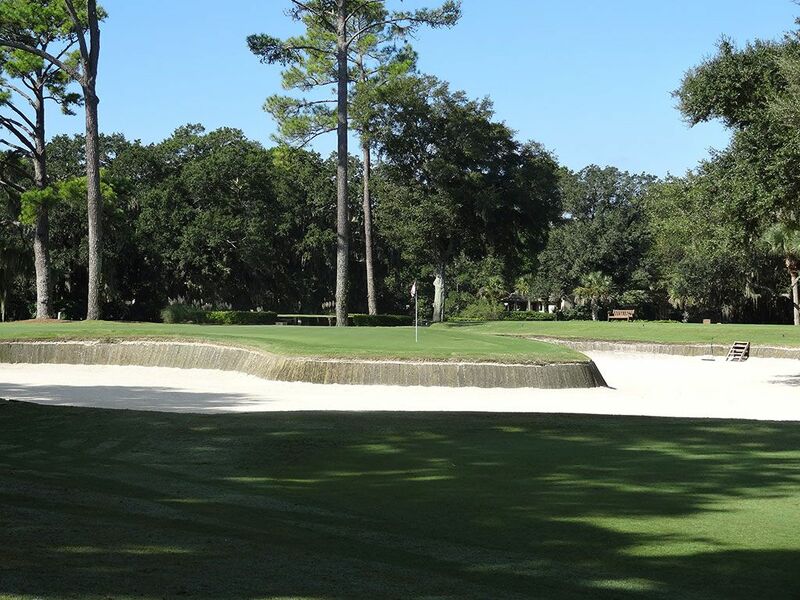 Surrounded by sand, the green sits as an island and supported by railroad ties around the whole putting surface. Missing the green will present players with a brutal sand save scenario as the railroad ties around the green stare back at you ready to deflect any shot that comes off less than perfect. 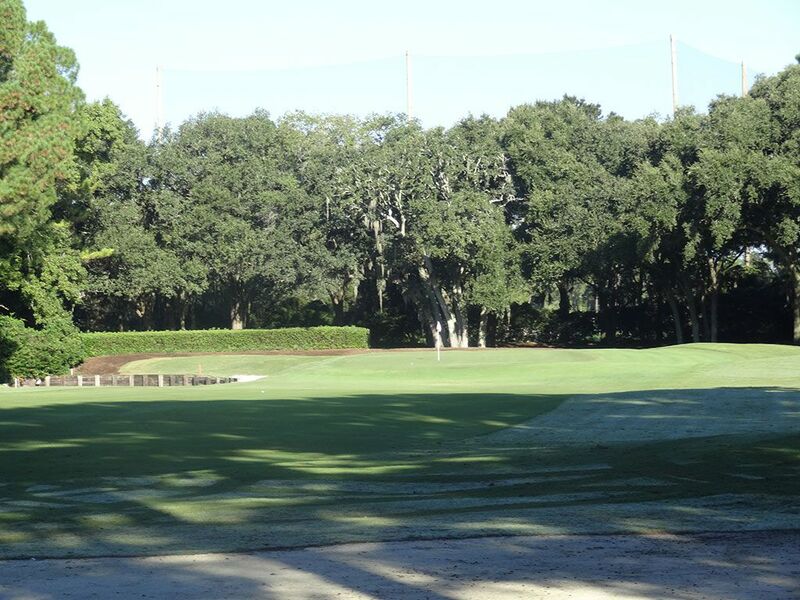 Tee shots that go to the left with contend with a large oak that blocks much of the green and will force many players to punch to a safer location. While many of the first twelve holes are at times forgettable, the 13th hole kickstarts an incredible stretch of finishing holes that will impressive the toughest of critics. 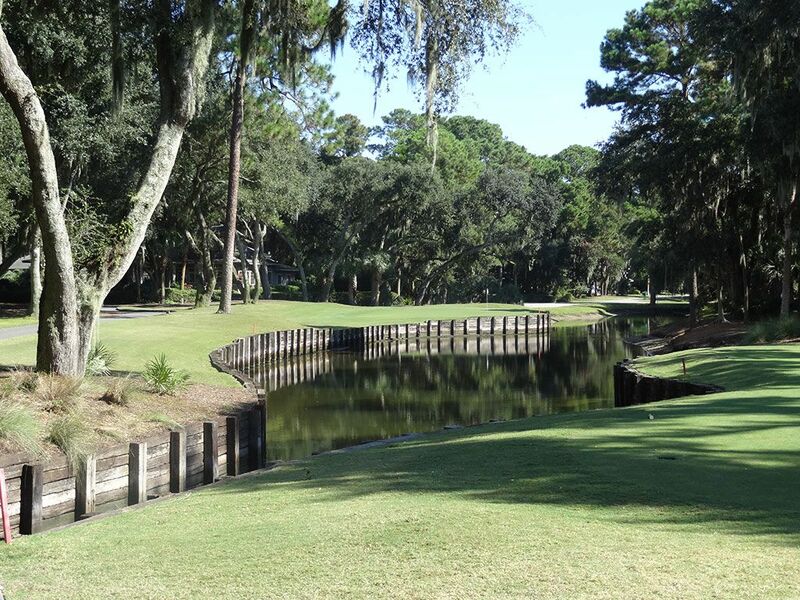 Best Par 5: 15th Hole – 588 Yards – Harbour Town's final par five is a three-shot hole for most players. Any chance of reaching the green in two will require players to hit a long drive down the right side before the fairway turns to the left. A water hazard flanks the left side of the fairway leading up to the green and is the home of an alligator that often casually looks on. Birdie Time: 9th Hole – 332 Yard Par 4 – A classic driveable par four where Dye requires you to keep the tee shot up the right side to reach the putting surface. Tee shots that go up the left side will be blocked out by trees on the approach shot and require creativity to find the putting surface. The short length makes this hole very scorable even when taking a long iron off the tee assuming you keep it up the right side. With a front nine ridiculed with extremely difficult holes, the 9th hole stands as a welcome pleasure to play. A small mound and a pair of bunkers are found short of the green as extra concern to contend with but are much better than finding the water. Bogey Beware: 8th Hole – 473 Yard Par 4 – There are so many holes to make bogey on that it is tough to pick just one. The 13th hole with its incredibly demanding approach shot certainly is a candidate as is the tight opening hole, but the 8th hole is the one that consistently ranks among the toughest holes for the Tour players to contend with. 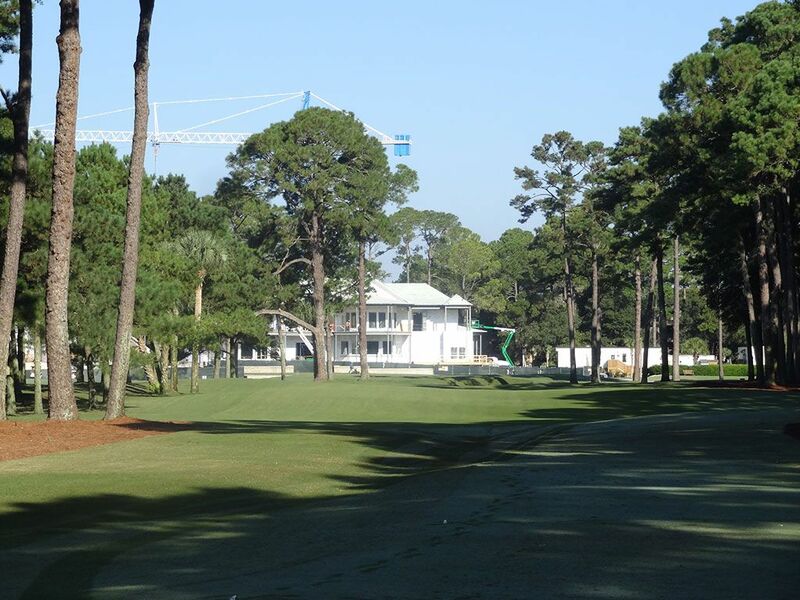 At 473 yards and probably 10 feet of elevation above sea level, many players will struggle to reach this green in two. The hole doglegs to the left and the green is flanked by a bunker and water hazard on the left. The narrow opening to the green makes this the most difficult green in regulation on the course.